Other Names*: Louise Rood, Louisa Naudain Rood, Louisa Rood. • Her Find A Grave memorial, which includes pictures from the family burial plot, is here. [S1360] The Chicago Tribune, Chicago, Ill., online at http://www.newspapers.com, 13 Jan 1937, p. 14, col. 2 (obituary of Louise Rood) (naming James Rood as her father). [S199] Supposition as to father's identity, based on burials in same family plot. [S198] Supposition as to mother's identity, based on burials in same family plot. [S961] Find A Grave, online at http://www.findagrave.com, memorial for Louisa Rood, memorial no. 147077867, viewed on 25 Dec 2017. [S961] Find A Grave, online, above, memorial for Louisa Rood, memorial no. 147077867, viewed on 25 Dec 2017 (giving the year but no other information). [S1360] The Chicago Tribune, Chicago, Ill., above, 13 Jan 1937, p. 14, col. 2 (obituary of Louise Rood). • His Find A Grave memorial, which includes pictures of the family burial plot, is here. [S961] Find A Grave, online at http://www.findagrave.com, memorial for Charles Rood, memorial no. 147077889, viewed on 25 Dec 2017. • Her Find A Grave memorial, which includes pictures of the family burial plot, is here. [S961] Find A Grave, online at http://www.findagrave.com, memorial for Lucy Rood, memorial no. 147077877, viewed on 25 Dec 2017. [S961] Find A Grave, online, above, memorial for Lucy Rood, memorial no. 147077877, viewed on 25 Dec 2017. [S961] Find A Grave, online at http://www.findagrave.com, memorial for Helene S. Comegys, memorial no. 108529282, viewed on 23 Jan 2018. [S961] Find A Grave, online, above, memorial for Helene S. Comegys, memorial no.108529282, viewed on 23 Jan 2018. Birth*: She was born on 31 August 1896. Other Names*: Lydia Comegys, Lydia Naudain Comegys Bolton, Lydia Comegys Bolton, Lydia Naudain Bolton, Lydia Bolton. [S1403] "Comegys Family," p. 3, typescript included in "Historical Society of Pennsylvania Family Collection, vol. 0111," at p. 114, online at http://www.familysearch.org, (naming George Spencer Comegys as her father). [S1403] "Conegys Family," above (naming Elizabeth Naudain Cochran as her mother). Other Names*: Mary Comegys, Mary Elizabeth Comegys McNinch, Mary Comegys McNinch, Mary Elizabeth McNinch, Mary McNinch. [S961] Find A Grave, online at http://www.findagrave.com, memorial for Mary Comegys McNinch, memorial no. 108529308, viewed on 23 Jan 2018. [S961] Find A Grave, online at http://www.findagrave.com, memorial for Herbert William McNinch, memorial no. 108529307, viewed on 23 Jan 2018. [S961] Find A Grave, online at http://www.findagrave.com, memorial for Nathaniel W. Comegys, memorial no. 120962699, viewed on 23 Jan 2018. [S961] Find A Grave, online, above, memorial for Nathaniel W. Comegys, memorial no. 120962699, viewed on 23 Jan 2018 (attributing information to Shrewsbury Parish Register, vol. II, 1883-1909). [S961] Find A Grave, online, above, memorial for Nathaniel W. Comegys, memorial no. 120962699, viewed on 23 Jan 2018 (referring information to Shrewsbury Parish Register, vol. II, 1883-1909). [S1403] "Conegys Family," above (naming Nathaniel W. Comegys as his father). [S961] Find A Grave, online at http://www.findagrave.com, memorial for Rachel T. Corbit, memorial no. 10043509, viewed on 24 Jan 2018 (giving the month and year but no other information). [S1404] "Daniel Corbit Bible," above (stating that she was five months and twenty-one days old at death). [S961] Find A Grave, online, above, memorial for Rachel T. Corbit, memorial no. 10043509, viewed on 24 Jan 2018. [S1404] "Daniel Corbit Bible," typescript included in "Historical Society of Pennsylvania Family Collection, vol. 0116," online at http://www.familysearch.org (naming Sarah Fisher as her mother). [S1405] J. R. Witcraft, comp., Todds of the Eastern Shore Maryland (Philadelphia, Pa.: Dispatch Publishing House, 1912), online at http://www.familysearch.org, p. 20 (naming James Nathan Todd as his father). [S1405] Todds of the Eastern Shore Maryland, above, p. 20 (naming Clara Naudain as his mother). [S1405] Todds of the Eastern Shore Maryland, above, p. 20. Other Names*: Fanny Parlett Todd, Fanny Todd. [S1405] J. R. Witcraft, comp., Todds of the Eastern Shore Maryland (Philadelphia, Pa.: Dispatch Publishing House, 1912), online at http://www.familysearch.org, p. 20. Marriage*: He married Williamina Young. Marriage*: She married Edward T. Warner. Other Names*: Williamina Young Warner, Williamina Warner. [S1404] "Daniel Corbit Bible," typescript included in "Historical Society of Pennsylvania Family Collection, vol. 0116," online at http://www.familysearch.org (naming Williamina Y. Warner as his mother). [S1404] "Daniel Corbit Bible," typescript included in "Historical Society of Pennsylvania Family Collection, vol. 0116," online at http://www.familysearch.org (naming Mary C. Warner as his mother). [S961] Find A Grave, online at http://www.findagrave.com, memorial for John Warner, memorial no. 79922122, viewed on 26 Jan 2018 (naming the place but not giving the date). [S961] Find A Grave, online, above, memorial for John Warner, memorial no. 79922122, viewed on 26 Jan 2018. [S1404] "Daniel Corbit Bible," typescript included in "Historical Society of Pennsylvania Family Collection, vol. 0116," online at http://www.familysearch.org (naming Edward Tatnall Warner as his father). [S961] Find A Grave, online at http://www.findagrave.com, memorial for Daniel Corbit Warner, memorial no. 79927310, viewed on 26 Jan 2018 (giving the date and place). [S961] Find A Grave, online, above, memorial for Daniel Corbit Warner, memorial no. 79927310, viewed on 26 Jan 2018. Marriage*: She married David Wilson. Other Names*: Ann Jefferis Wilson, Ann Wilson. [S961] Find A Grave, online at http://www.findagrave.com, memorial for Ann Jefferis Wilson, memorial no. 7742291, viewed on 29 Jan 2018. [S1404] "Daniel Corbit Bible," typescript included in "Historical Society of Pennsylvania Family Collection, vol. 0116," online at http://www.familysearch.org (naming Ann Wilson as her mother). Marriage*: He married Sarah _____. Marriage*: She married Anthony M. Higgins. [S1404] "Daniel Corbit Bible," typescript included in "Historical Society of Pennsylvania Family Collection, vol. 0116," online at http://www.familysearch.org (naming Sarah C. Higgins as her mother). [S1404] "Daniel Corbit Bible," above (stating that she was born at 3:00 a.m.). Other Names*: Sarah Bean, Sarah Ann Bean Dove, Sarah Bean Dove, Sarah Ann Dove, Sarah Dove. [S961] Find A Grave, online at http://www.findagrave.com, memorial for Sarah Ann Bean Dove, memorial no. 80484495, viewed on 28 Jan 2018. [S961] Find A Grave, online, above, memorial for Dr. George M. Dove, memorial no. 80484357, viewed on 28 Jan 2018. [S1404] "Daniel Corbit Bible," typescript included in "Historical Society of Pennsylvania Family Collection, vol. 0116," online at http://www.familysearch.org (naming Sarah Dove as her mother). [S1404] "Daniel Corbit Bible," typescript included in "Historical Society of Pennsylvania Family Collection, vol. 0116," online at http://www.familysearch.org (naming Sarah Corbit Spruance as his mother). [S1404] "Daniel Corbit Bible," typescript included in "Historical Society of Pennsylvania Family Collection, vol. 0116," online at http://www.familysearch.org (naming Sarah Corbit Spruance as her mother). [S961] Find A Grave, online at http://www.findagrave.com, memorial for Albert Curtis Bowersock, memorial no. 180070760, viewed on 20 Feb 2018. [S961] Find A Grave, online, above, memorial for Albert Curtis Bowersock, memorial no. 180070760, viewed on 20 Feb 2018 (giving the year but no other information). [S1412] The Evening Sun, Baltimore, Md., online at http://www.newspapers.com, 27 Sep 1950, p. 59, col. 4 (obituary of Albert C. Bowersock). [S961] Find A Grave, online, above, memorial for Albert Curtis Bowersock, memorial no. 180070760, viewed on 20 Feb 2018 (not giving the date). [S199] Supposition as to father's identity, based on cemetery monument bearing both names. [S961] Find A Grave, online at http://www.findagrave.com, memorial for Albert Curtis Bowersock, Jr., memorial no. 180070761, viewed on 20 Feb 2018. [S961] Find A Grave, online, above, memorial for Albert Curtis Bowersock, Jr., memorial no. 180070761, viewed on 20 Feb 2018 (stating that he died in 1996 but providing no other information). [S1365] The Sun, Baltimore, Md., online at http://www.newspapers.com, 22 Dec 1996, p. 32, col. 4 (obituary of Albert C. Bowersock, Jr.). Other Names*: Benjamin Fortson, Bill Fortson. [S1417] The Clarion-Ledger, Jackson, Miss., online at http://www.newspapers.com, 29 Sep 1967, p. 12, col. 3 (obituary of Mrs. B. R. Fortson) (naming Mrs. B. R. Fortson as his mother). [S961] Find A Grave, online at http://www.findagrave.com, memorial for Benjamin Morris Fortson, memorial no. 65624503, viewed on 24 Feb 2018. [S961] Find A Grave, online, above, memorial for Benjamin Morris Fortson, memorial no. 65624503, viewed on 24 Feb 2018 (not giving the date or place). [S961] Find A Grave, online, above, memorial for Dolly Marie Fortson, memorial no. 65624537, viewed on 24 Feb 2018 (not giving the date or place). 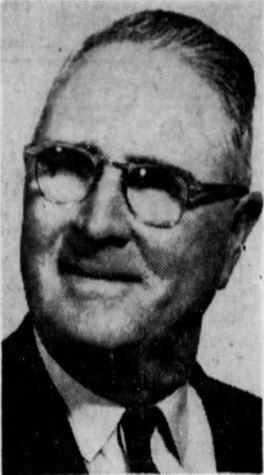 [S1416] Hattiesburg American, Hattiesburg, Miss., online at http://www.newspapers.com, 18 Sep 1942, p. 5, cols. 1-2. Other Names*: Dolly Burleson, Dolly Marie Burleson Fortson, Dolly Marie Burleson, Dolly Burleson Fortson, Dolly Fortson. [S961] Find A Grave, online at http://www.findagrave.com, memorial for Dolly Marie Fortson, memorial no. 65624537, viewed on 24 Feb 2018. • His Find A Grave memorial, which includes his obituary and a picture of his tombstone, is here. [S175] Supposition as to marriage, based on joint tombstone. [S961] Find A Grave, online at http://www.findagrave.com, memorial for Warren Dee Fortson, memorial no. 38872764, viewed on 25 Feb 2018. Other Names*: Velma Fortson, Billie Fortson. [S961] Find A Grave, online at http://www.findagrave.com, memorial for Velma ('Billie') Fortson, memorial no. 124692315, viewed on 25 Feb 2018. [S961] Find A Grave, online at http://www.findagrave.com, memorial for Angela Lynn Rice, memorial no. 64185133, viewed on 25 Feb 2018. [S1416] Hattiesburg American, Hattiesburg, Miss., online at http://www.newspapers.com, 17 Jul 1965, p. 9, col. 6 ("Rites today for Rice infant") (indicating that graveside services were to be at 3:30 p.m. on 17 Jul 1965). [S1416] Hattiesburg American, Hattiesburg, Miss., above, 17 Jul 1965, p. 9, col. 6 ("Rites today for Rice infant") (stating that she died "shortly after birth at 3:30 a.m.," indicating she was born and died on 17 Jul 1965). [S961] Find A Grave, online, above, memorial for Angela Lynn Rice, memorial no. 64185133, viewed on 25 Feb 2018 (giving the date but not the place). [S1416] Hattiesburg American, Hattiesburg, Miss., above, 17 Jul 1965, p. 9, col. 6 ("Rites today for Rice infant") (giving the date as 17 Jul 1965). Other Names*: Nettie Ethridge, Nettie Rilla Ethridge, Nettie Rilla Ethridge Fortson, Nettie Ethridge Fortson, Nettie Rilla Fortson, Nettie Fortson. [S1416] Hattiesburg American, Hattiesburg, Miss., online at http://www.newspapers.com, 29 Sep 1967, p. 2, col. 6 (obituary of Mrs. B. R. Fortson) (describing her as the widow of B. R. Fortson). [S1417] The Clarion-Ledger, Jackson, Miss., online at http://www.newspapers.com, 29 Sep 1967, p. 12, col. 3 (obituary of Mrs. B. R. Fortson) (describing her as the widow of B. R. Fortson). [S961] Find A Grave, online at http://www.findagrave.com, memorial for Nettie Rilla Ethridge Fortson, memorial no. 46408026, viewed on 25 Feb 2018. [S1417] The Clarion-Ledger, Jackson, Miss., above, 29 Sep 1967, p. 12, col. 3 (obituary of Mrs. B. R. Fortson). [S1416] Hattiesburg American, Hattiesburg, Miss., above, 29 Sep 1967, p. 2, col. 6 (obituary of Mrs. B. R. Fortson). [S1417] The Clarion-Ledger, Jackson, Miss., above, 29 Sep 1967, p. 12, col. 3 (obituary of Mrs. B. R. Fortson) (naming Mrs. B. R. Fortson as his mother).